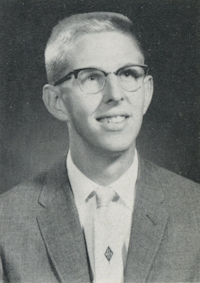 Obituary – Voigt, Robert Emil « Perry High School Alumni Association, Inc.
Perryscope Staff 56-57; Football 56-57; Basketball 56-59; Baseball 56-59; Home Room Vice-President 57-58; Class Assembly 57-58; Lettermen’s Club 56-59. Robert Emil Voigt was born April 5, 1941, in Stillwater, Oklahoma, to Emil Frank and Helen Maxine (Huston) Voigt. He died Wednesday, February 7, 2018, in Owasso, Oklahoma, at the age of 76 years. Robert was reared and educated in Perry, Oklahoma, graduated from Perry High School, and continued his education at Oklahoma State University. He was married September 6, 1969, in Bogota, Colombia, to Carmen Ligia Guevara Garzon. In June 1976, they moved to Owasso, Oklahoma. He spent 41 years working in the airline industry as an Operations and Customer Service Supervisor with Frontier Airlines and later, United Airlines, retiring in 2003. 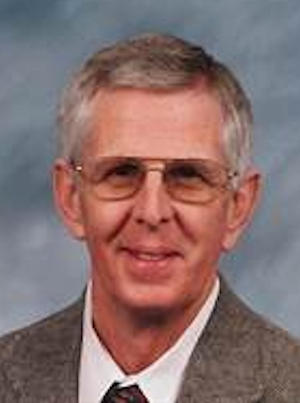 Robert attended St. Henry Catholic Church in Owasso where he was a parishioner for 40 years, was a member of the church council, and was a member of the men’s club in his earlier years. He enjoyed a variety of pastimes, especially coaching little league baseball, basketball and soccer, fishing, quail hunting, and playing golf. Robert also volunteered with the Boy Scouts and Indian Guides. Those he leaves behind who hold many cherished memories include: His wife of over 49 years, Ligia, of the home; two children, Michel James Voigt and his wife, Lisa, of Westlake, Texas and Emily Anne Voigt-Bandurski and her husband, Andrew, of Trophy Club, Texas; grandchildren Faith and Seth Voigt, and Leighton and Sophia Bandurski; brother; James A. Voigt and his wife, Barbara, of St. Joseph Missouri; cousins; Simone Belk and her husband, Larry, of New Braunfels, Texas, and Bob (“Big Bob”) Gene Voigt of Perry, Oklahoma. He was preceded in death by his parents, grandparents Robert and Grace Huston, and aunt Ruth VanArsdell. A memorial service will be held 10:00 a.m., Wednesday, February 21, 2018, at St. Henry Catholic Church, Owasso, with Father Matt LaChance and Father Richard Bradley officiating. Graveside services will be held at 2:30 p.m. at Grace Hill Cemetery, Perry, Oklahoma. In lieu of flowers, memorial donations may be made in memory of Robert Voigt to Parkinson’s Foundation of Oklahoma, 720 West Wilshire Boulevard, Suite 109, Oklahoma City, OK 73116 or at www.parkinsonoklahoma.com/donate. Arrangements and services were entrusted to Mowery Funeral Service of Owasso.